Chic & Stylish Hidden River Townhome. Great Location!! Beautiful Water & Conservation Views!!! Bathrooms were upgraded with granite counters, undermount sinks, faucet and fixtures!! Upgraded carpet in all bedrooms!! Laminate Flooring on staircase and loft areas. Crown Molding in 1st floor plus Chair rail in dining area!! 3 spacious Bedrooms, 2.5 baths, 1 Car Garage with 2 cars driveway. Main floor has a large Living room and Dining area with gorgeous Tile floor. Beautiful Kitchen with Granite countertop, Stainless Steel appliances & Breakfast Bar. Large Porch. 2nd floor: Large Master bedroom with walk-in closet and Master bath with double sink & Walk-in Shower. Guests Parking available just across from Townhome. Hidden River is a Gated Community offering an elegant Club House with Pool, Spa, Sauna and state of the art Fitness Center. 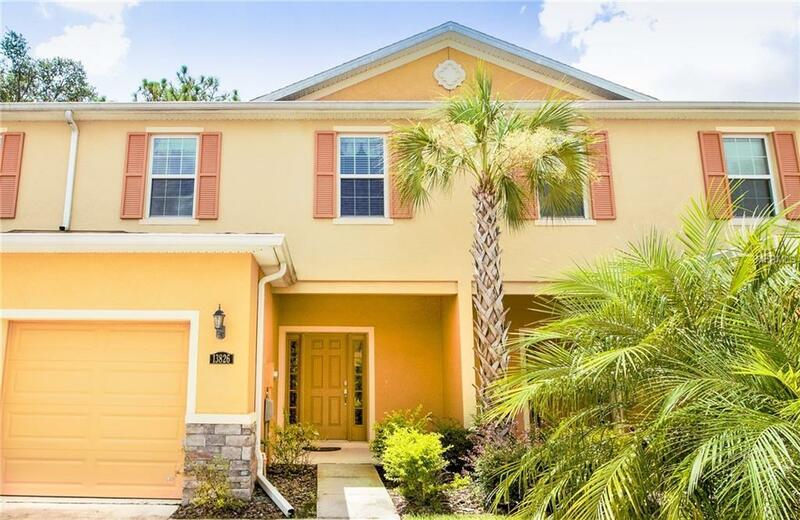 Conveniently located near USF, Florida & VA Hospitals, I-75, Busch Garden, Shopping and Restaurants. HOA fees includes all Exterior Maintenance & Lawn care, Water, Sewer & Garbage . Listing provided courtesy of Guidance Realty Homes Llc.